This walk is one of the highlights of the week and takes place on the area that was devastated by the 18th century eruptions. From 1730 to 1736 the island of Lanzarote suffered one of the most important eruptions over the last 500 years of humankind leaving a stunning volcanic landscape. 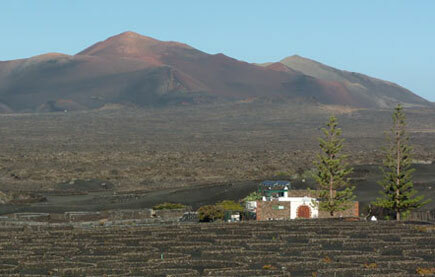 Nearly 200 square kilometers where destroyed by volcanoes and lava flows and another important agricultural area of Lanzarote was covered by the raining volcanic grains: La Geria. 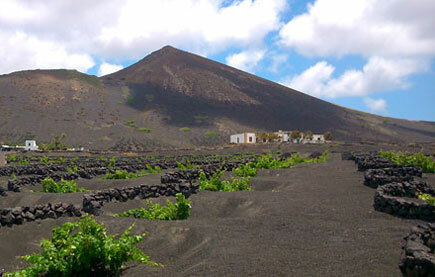 Shortly after the eruptions ceased the peasants of Lanzarote were able to put some order out of chaos and began to cultivate La Geria again leaving us an unparelleled wine region, unique in the world. 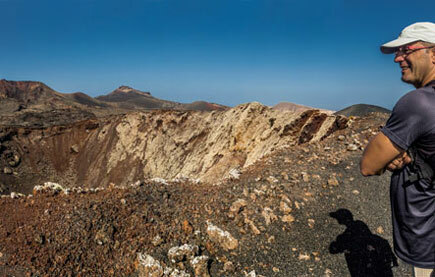 During our walk we will discover the reasons of this dramatic landscape and how this eruptions changed the ways of life of the inhabitants of Lanzarote ever since. Our journey ends in one of the most famous wineries of the island where we will enjoy a wine tasting and a “tapas lunch”.